Luck has been on my side lately. At a networking event raffle I won a gift certificate for a mini-facial from Mari Symington of Model Call Salon and Spa in Hillcrest. Friday was my day to beautify so off to see Mari I went. Model Call Salon and Spa is a very hip, upscale place on Park Blvd. that offers treatments on everything from hair, to nails to massage. And of course, facials. Mari is the sweetest thing you’ve ever met. She made me feel very comfortable and we chatted like we were old friends. The facial was one of the best I’ve had. She used products that were not harsh on the skin and had hands that worked magic. It was a very relaxing experience. If you are looking for a good aesthetician, it seems like you’d be hard pressed to go wrong with Mari. Give her a call at 619-296-8021 or e-mail her at mari.symington@yahoo.com to set up an appointment. She specializes in waxing, peels, facials, brow and lash tinting and body treatments. She actually turned 30 about three weeks ago, but her birthday celebration was this weekend in Vegas. Lindsay is one of my favorite people in the world. I met her my freshman year at San Diego State in the dorms. It turns out we grew up in neighboring home towns. We quickly became friends and stayed friends ever since. In college we took many memorable road trips to Vegas, and some of my favorite memories in that city have Lindsay in them. Lindsay is the kind of friend you can always count on. She is supportive, caring, generous and fun. 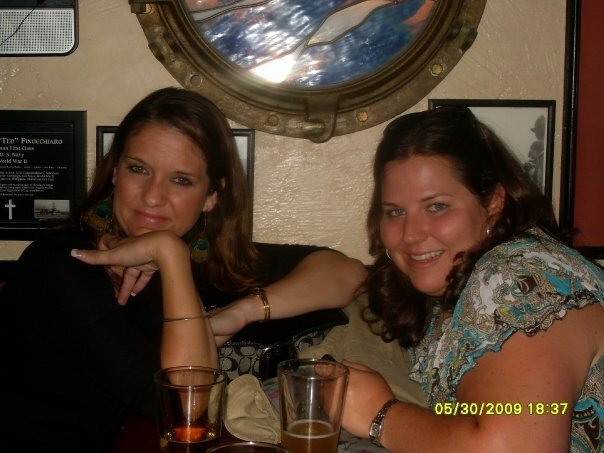 I was lucky to have her as a bridesmaid in my wedding and even though she lives in LA now, she came down to almost every single one of my fund raising events when I was walking the Breast Cancer 3 Day. When she invited me to her birthday weekend in Las Vegas, it was a no-brainer! I got to Vegas on Saturday morning around 11 a.m. and left Sunday at 3:30. It was a short trip, but it was big on fun! We spent much of the day at the pool and then rallied at night to go to Studio 54 at the MGM Grand, where we used to go in every time we went to Vegas in college (Linz has VIP hook-ups there). As long as I have a say, Lindsay will always be my friend. It was so great to see her and have fun in one of our favorite cities in America – VEGAS! Over the past five years, Wine Steals has revolutionized the local wine bar scene. 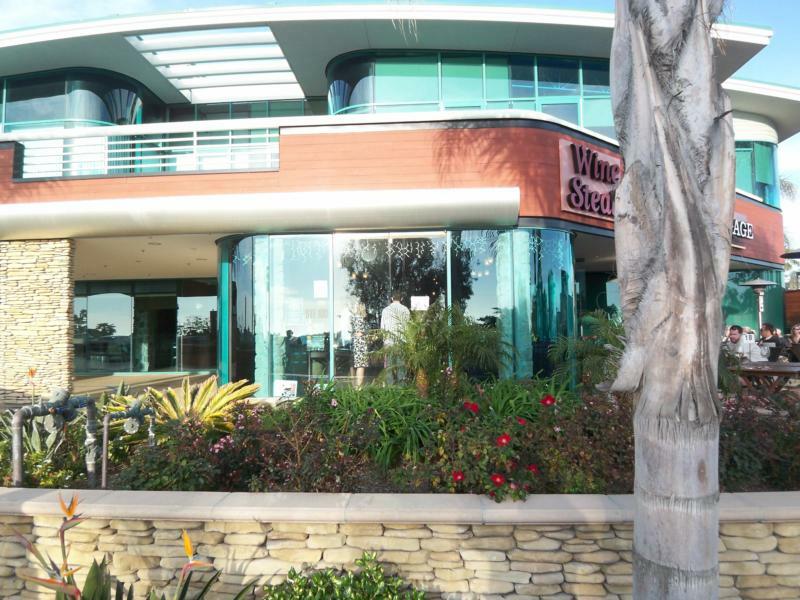 I’ve been to the original in Hillcrest and the one at Liberty Station in Point Loma. Just this past week, we happened to drive past the one in Cardiff and had to stop the car and go in. Unlike the coffee shop-esque Hillcrest location and the golf-course-view Point Loma location, this Cardiff Wine Steals is a cut above the rest. The shopping center is beautiful and modern and this Wine Steals is much of the same. It has an ocean view and a beautiful stone-laden modern space with plenty of room indoor and out. It seemed like the place to be on a Friday night. The principles of the Cardiff Wine Steals are the same as the others – affordable wines, a vast selection and a comfortable environment. 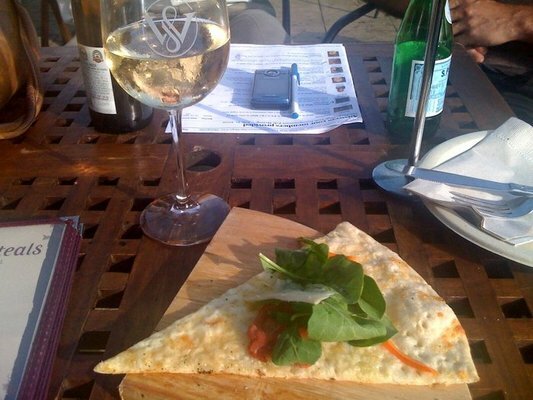 Seeing that I find the Wine Steals Margherita pizza to be the best pizza I’ve ever had – hands down – I had to try the pizza in Cardiff to be sure it didn’t waiver. I’m happy to report it is just as good as the other two locations. If you’re a North County dweller or happen to be in the area like we were, stop by. My friend Stacey Ross, aka San Diego Bargain Mama, has been telling me all about Yappy Hour at St. Germain’s Cafe in downtown Encinitas. Scott and I finally made it out there on Friday night. The owner, Roy Salameh, has done a fantastic job creating a delicious menu and warm, inviting environment. 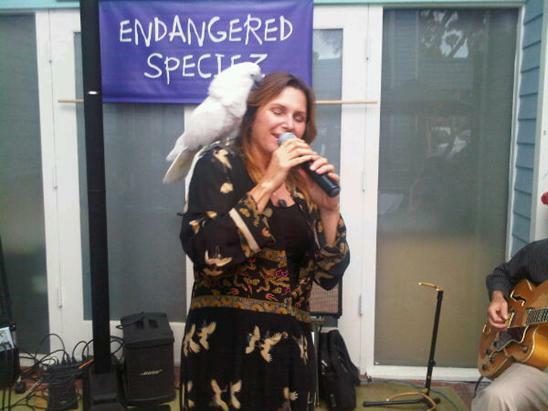 Their weekly Yappy Hours are open to humans and animals of all kinds – birds, dogs … whatever – and proceeds from the Yappy Hours go to the Rancho Coastal Humane Society. They have live music played by Endangered Speciez … quite an appropriate name for the event, but Roy told me it was just a coincidence. 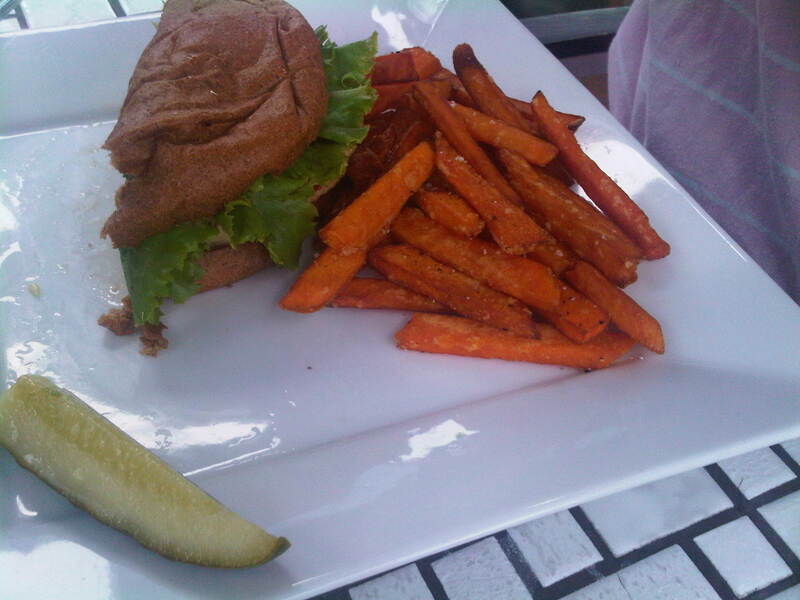 California chicken sandwich with sweet potato fries. 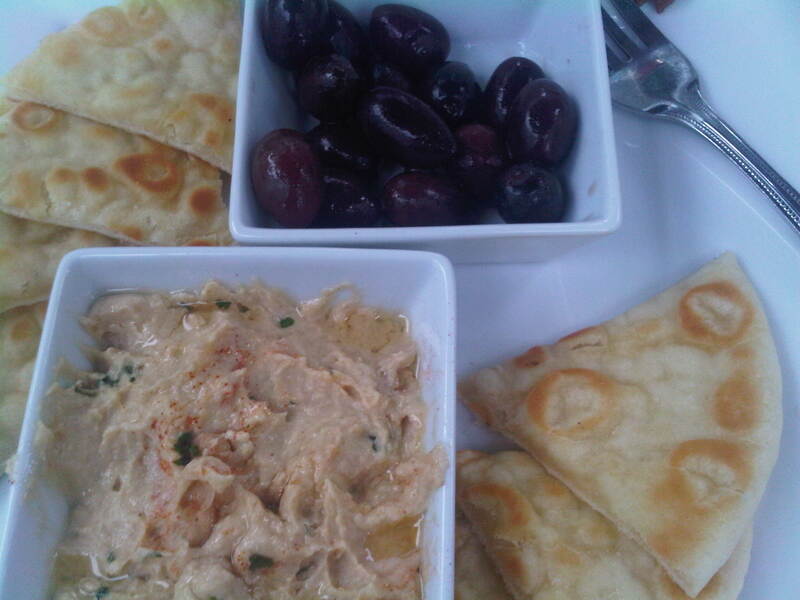 I had the Mediterranean platter that boasted the owner’s family recipe of homemade humus. Both meals were delicious. St. Germain’s is open for breakfast and lunch daily; and for dinner during Yappy Hour a few days a week. The restaurant is looking to open seven days a week for dinner soon. Definitely check it out. 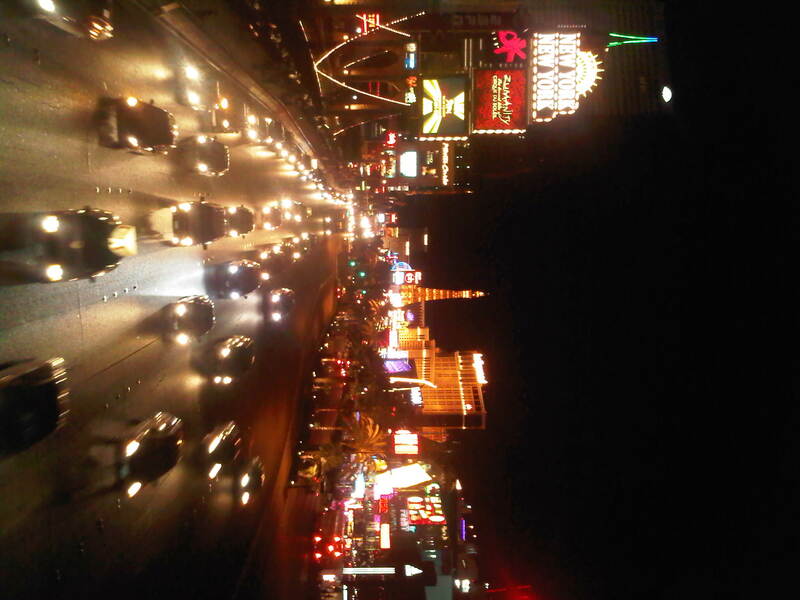 This was a cool picture I took from the foot bridge that connects the MGM Grand and the New York New York hotels. I’ll write more about the little adventure later. 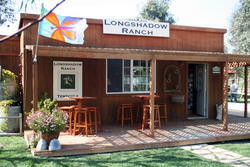 We’ve visited many of the Temecula valley wineries; however, the one that keeps us coming back is Longshadow Ranch. Yesterday we went on our seventh annual Grape Escape – this time in honor of our friend Megan who is moving to England and celebrating her birthday. We made stops at two other wineries along the trail, but Longshadow Ranch still stood out as my favorite. Why? The comfort of the venue and the animals. And the wine is good too. Longshadow Ranch is the place we take a break and picnic. The staff is amenable to large groups and the tastings are done mostly outside where there is plenty of room. What’s more, the entire winery is filled with animals, including horses, goats and dogs. In the evenings sometimes and on special occasions, the winery offers live music on its stage. This place is definitely worth a stop during any visit to Temecula.